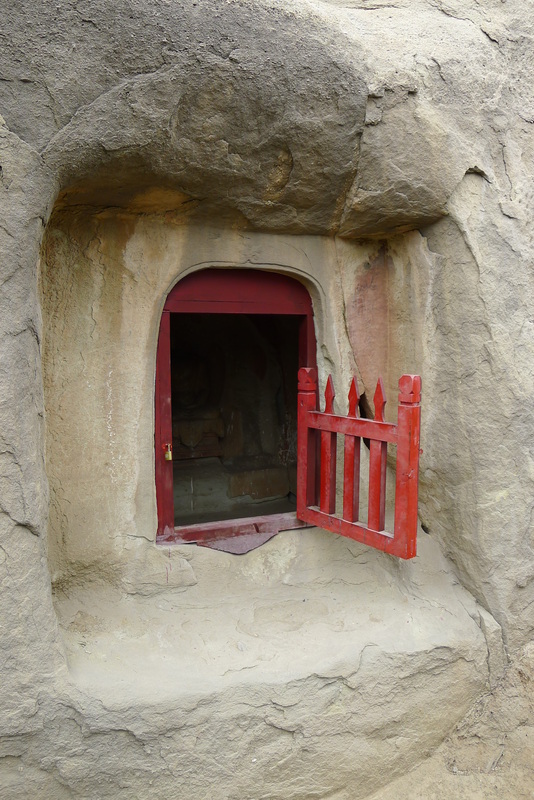 Cave 4 is a small cave of the Tang dynasty. 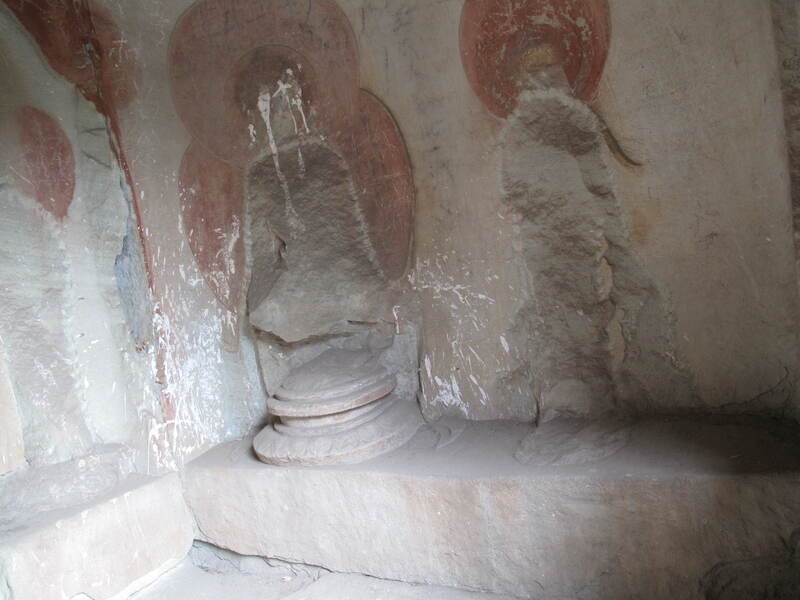 The existing porch in front of the entrance is about 1.5 meters wide. 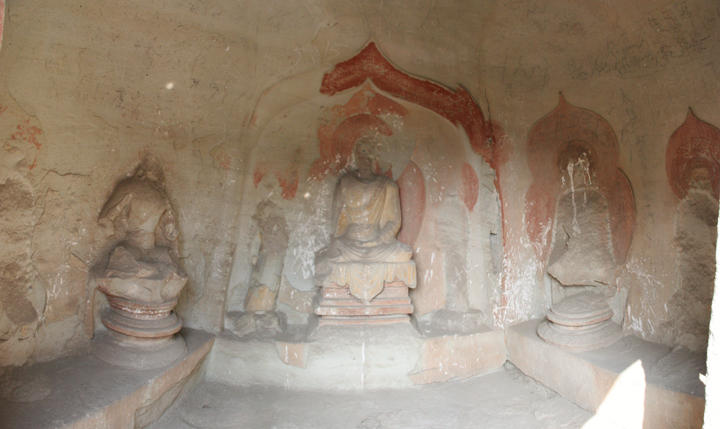 There were originally seven sculpted figures in the cave, a seated Buddha on the back wall, two seated bodhisattvas in the corners on the east and west side, and four standing figures. Most have been cut away. 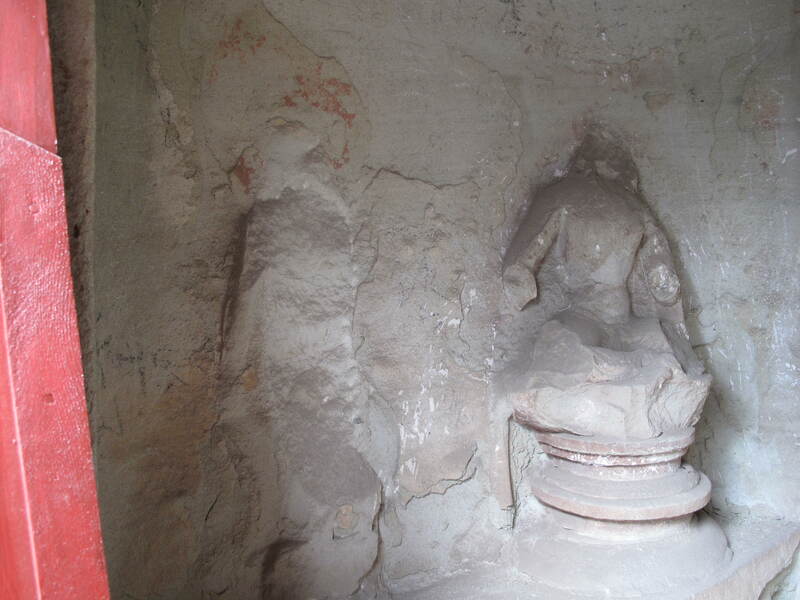 Cave 4 back (north) wall. 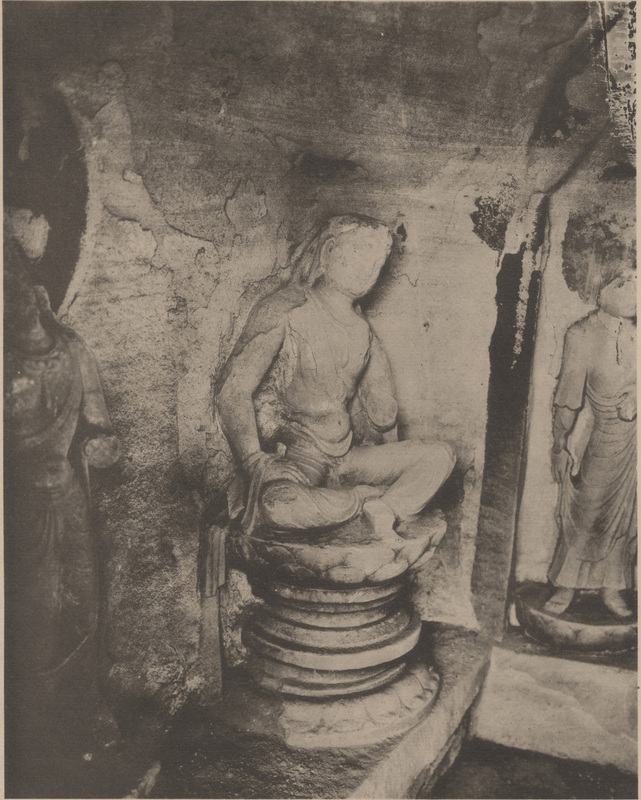 The carved images are set on a low altar that extends around the front and side walls. 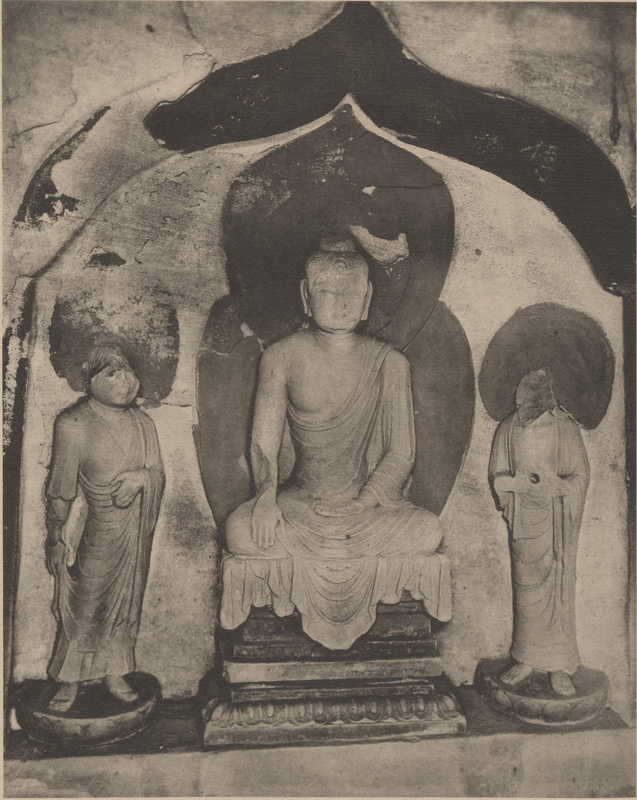 The Buddha was flanked by two standing disciple figures. 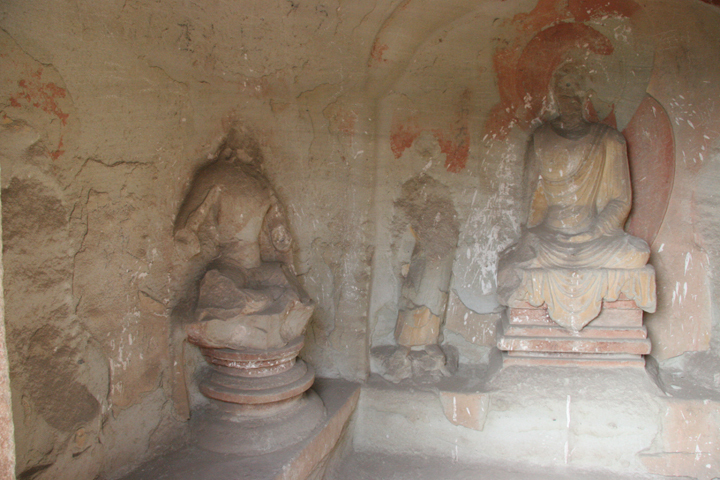 Bodhisattvas figures sit on lotus thrones at the right and left corners.